Despite the seriously long gap in my writing, I intend to continue. Content you will find here may differ somewhat from what I focused on before. There will still be an emphasis on linguistic research as often as possible, but to create some variety, and hopefully to maintain greater frequency in posting, I will be expanding the focus of this project to lesser-known languages (as opposed to "tribal" languages), remote cultures, factoids about these topics, relevant appearances in popular culture, and maybe even some original artwork. Enjoy! I've been to New York City twice and both times the people I encountered made all sorts of impressive claims about the celebrity of the city's character. One of the claims I heard was that on any given day, someone from every country in the world will invariably walk across Times Square. I didn't know whether to actually believe this or not, but it reminded me of how abundant the history of cultural diversity must be in a city like New York, where people from all over the world are drawn to find opportunity and success. The implications of this are vast; I mean, who knows what obscure cultural curiosities you might find in the boundless corners of that city? Of all the possibilities, you can definitely guarantee that a lot of languages are spoken in New York City. This is interesting because, as it turns out, some of the languages found in New York have more speakers there than in the places where they originate. Because of this, linguists are finding more and more enclaves within the city where speakers of some of the world's rarest and most obscure languages reportedly live. 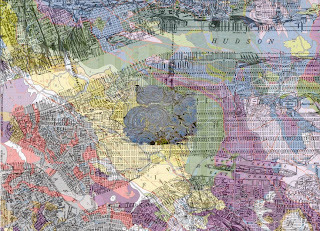 In this way, New York is becoming a very useful, and more accessible, territory for linguists looking to document endangered languages. Check out the article about this in yesterday's New York Times. Nestled in the Bay of Bengal, between India and Burma, there is a cluster of archipelagic islands known as the Andaman Islands. Consisting of over 200 islands total, this territory is home to the Andamanese people, a collection of indigenous cultures that have been present in this location since pre-neolithic times, ca. 60,000 years ago. Four primary tribal identities are to be distinguished in the Andaman group. 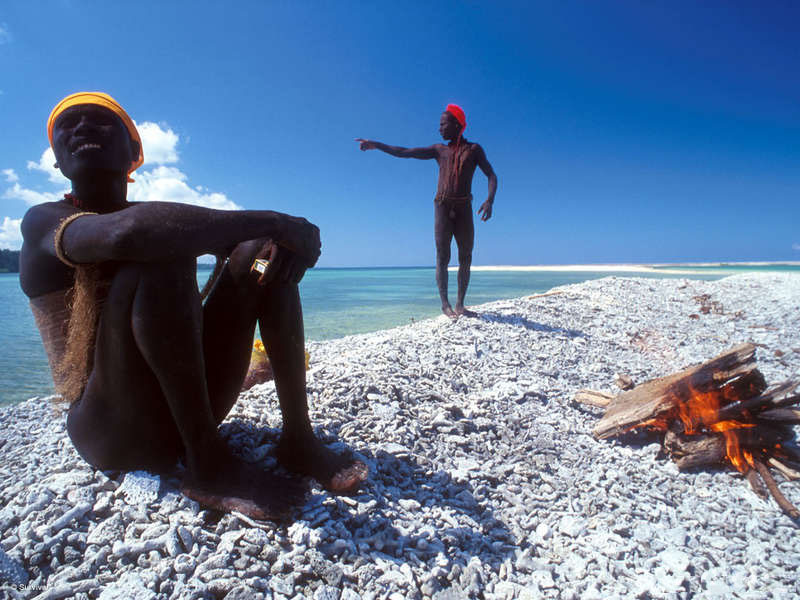 There are the Great Andamanese tribes (a highly endangered group once consisting of ten distinct tribes that have more or less coalesced into one), the Jarawa, the Onge, and the Sentinelese. First contact with most of the tribes has occurred within the last 300 years, but some Andaman groups, such as the Jarawa, have encountered mainlanders only very recently. The first contact with this tribe is believed to have been established in 1997. However, the Sentinelese tribe has yet to be successfully contacted by the Indian government, anthropologists or any other mainlanders. According to the testimonies of those who have tried to make contact, the Sentinelese violently reject contact with outsiders. Andamanese linguistics is very important to the revitalization of indigenous languages whose population of native speakers is declining. 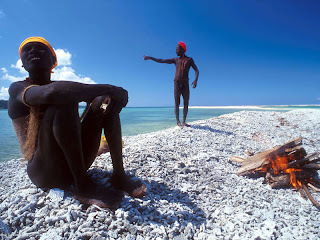 Based on a demographics survey done twelve years ago, the Jarawa population had been reduced to 300, the Onge to 105, and the Great Andamanese to 40. Since then, at least one of the Great Andamanese tribes has gone completely extinct. This was the Aka-Bo tribe, whose last speaker died earlier this year. Part of the urgency associated with preserving Andamanese languages is that relatively little is known about them. For example, there is still uncertainty about the basic historical relationships among these languages, and whether or not they can even be classified under one language family. Traditionally, all of the languages spoken on these islands are classified under the Andamanese language family, which can be divided into the Little Andaman Group and the Great Andaman Group. The former includes Onge, Jarawa, and presumably Sentinelese (though linguists haven't gotten to this one yet), while the Great Andamanese languages belong to the latter. However, a more recent study argues that Onge and Jarawa are typologically distinct from the Great Andamanese languages. Under this theory, it's proposed that Onge and Jarawa actually descend from Proto-Austronesian and that only the Great Andamanese languages can be classified under the Andamanese family. Ultimately, the decision of how to classify these languages has not yet reached conclusion. However, one feature suggesting that all of these languages are in fact related is the way in which each treats a certain type of grammatical possession. Possession is a very broad linguistic domain that Chomsky includes in his theory of universal grammar. As such, we expect every human language to have some means of expressing notions of possession. In the same vein, we can also expect a great deal of variability in how possession is expressed across languages. This entry is based on the term paper I wrote for a linguistics seminar about the Montana Salish language. The Salishan family consists of 23 Amerindian languages spoken throughout the Pacific Northwest, encompassing coastal British Columbia and Washington State, including parts of Vancouver Island, the Gulf Islands, the San Juan Islands, and extending as far inland as Idaho and Montana. Salishan languages may be grouped into two primary categories - Coastal and Interior languages. In turn, Interior Salish is grouped into Northern and Southern languages, the latter of which includes Montana Salish. Strictly speaking, Montana Salish is classified as one of three dialects comprising an un-named language, the other two of which are Spokane and Kalispel. Like all Salishan languages, Montana Salish is endangered, with only about 100 native speakers remaining. My interest in deixis as it pertains to Montana Salish stems from the absolute lack of published literature on this topic. As such, an understanding of deixis as a pragmatic feature of Montana Salish remains opaque to the scientific community. In general, deixis is itself somewhat obscure in the field of linguistics and, more specifically, the study of pragmatics. In light of this, I suspect at least some of you would benefit from a brief overview of deixis. If you read the article on deixis, you now know that it has its etymological origins in the Greek word for "reference," or something that you point at. Similarly, its application in linguistics is used to describe a common phenomenon in language to denote a referent while simultaneously specifying its distance from a certain point of view. A traditional understanding of deixis accounts for variation in distance within local, temporal and personal dimensions. That is, deictic words emphasize distance that is measurable in space and time, or by distinguishing between individuals specifically. So far my research on deixis in Montana Salish is limited to the demonstratives of the language. As a lexical class, demonstratives are appropriate for a study of deixis because they denote a specific entity, and in doing so distinguish that entity from others of the same class. In English, demonstratives are relatively simple, consisting of merely four pronouns: this, that, these, and those. However, the demonstrative system of Montana Salish, and in fact all Amerindian languages, is substantially different and more complex than what's familiar to most English speakers. Ultimately, understanding the complexity of such a feature in Montana Salish is where we begin to see some of the profound differences in ways of being, in conceptions of the world as they vary across languages and cultures. This debut post is a lecture given in 2003 by anthropologist Wade Davis, whose work focuses on indigenous cultures around the world. In his own terms, Davis describes the collective cultural network of the world as an "ethnosphere," which, as he goes on to say, is being eroded at an alarming rate. And he specifically notes that a great indicator of this decline is language death. For me, the sentiment conveyed here is directly parallel to my intentions for this blog. At the end of his lecture, Davis maintains that storytelling will be our best effort for the revival of endangered cultures. In this vein, I'd like to think of my blog entries as a storybook of human culture as it is captured by language.